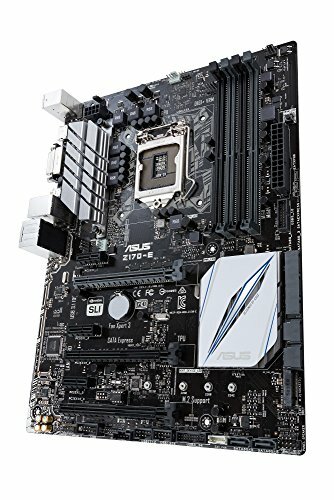 I used this motherboard with a Skylake i3-6100 chip. It went together easily, has lots of slots, a decent selection of rear I/O and plenty of sockets for front I/O, and works well. Cons: The actual board was shorter than the one shown in the manual, so the line of screws opposite the I/O shield is missing. Not a big deal, but I had to be sure to support the board as I plugged in the power connector and memory. The M.2 slot shares its PCIe lines with the SATA Express plug, so you can use one or the other, but not both at the same time. Not as many rear panel USBs as I'd like - there are plenty of plugs, but make sure your case gives you enough. Installation of the standoff for the M.2 drive was not obvious. It took a little bit of incorrect assembly before I realized that that's where it went. * The instructions were not very clear. Asus supplies a tool for installing the processor, but I couldn't figure out from the diagrams how to use it, and it's easy enough to install the processor without it. It came with a standoff to support the M.2 drive, but there was no mention of that in the instructions (nor any other information beyond "Plug in the M.2 drive"). I wasn't looking for a lot of hand holding, but the instructions were a little thin even for me. One interesting note is that I was cloning the M.2 SSD to the SATA drive as a ready-to-roll backup, and my utility munched the boot sector on the M.2. Not a big deal, I repaired it with the Windows repair shell, but somehow the BIOS disabled the ability to boot from the M.2. It was not obvious what was wrong, and it took an hour of poking around before I finally found the right option in the BIOS to re-enable booting from the SSD. I find the BIOS layout to be a little odd, although it's very comprehensive and with a little looking seems able to do anything I'd want to do in a BIOS. Overall I'm happy with it, and if I needed to do another similar build I'd use this one again. It could use some more fan headers and better onboard audio. Otherwise it works and I couldn't ask for more. 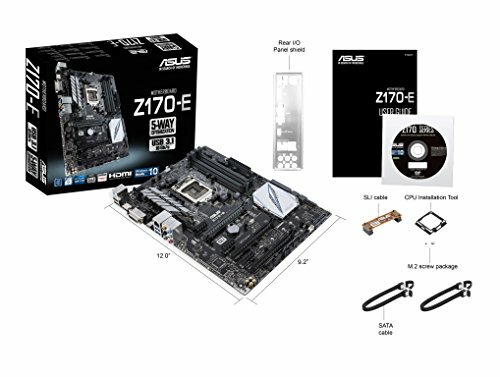 This motherboard does everything it needs to and comes with a great easy to use BIOS. 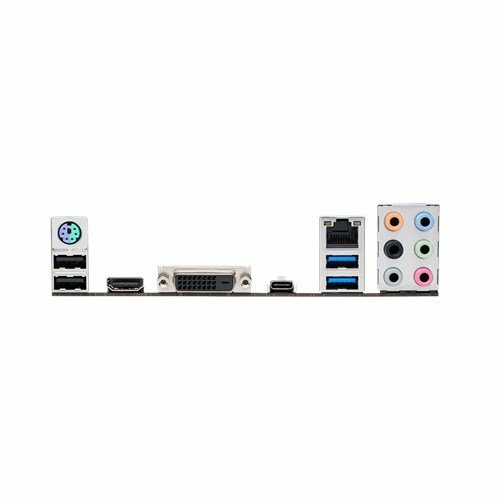 Awesome motherboard with simple BIOS. I'm pretty sure this was the piece that came with Windows 10 Home and McAfee for free! Also, Asus tech support helped with any questions I had. This board is very straightforward and easy to use. The Bios is also great and simple. Overall I'm happy with the way this performs and looks. It has a nice silver theme and lights up a bit too. Keep in mind there is a green power LED light that stays on in the middle of the board, the sound area has a small white led line too. Great motherboard. Easy bios and reliable. However there is no port for extra 4pin fans for the case meaning you have to use the water pump port. from completed build First PC Build. Gaming/Streaming. The ASUS BIOS is very easy to work with, especially for someone who's never worked with one before. Easy installation as well. 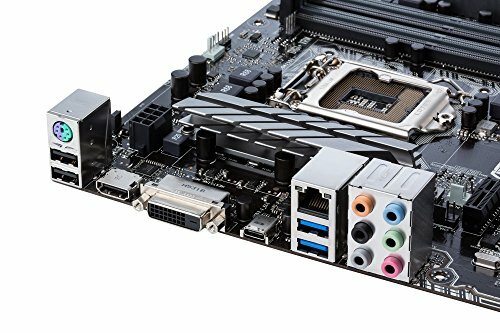 This board was by far the worst component in my build. Features wise, it is excellent. Aesthetically, it is beautiful. But, as far as the layout, it is a complete pain in the a$*. It may be because I'm an inexperienced builder ,but it seemed as though the connector pins were just scattered everywhere at random with no layout/placement in mind. This made cable management very,very difficult.